Please check if your name is in the start list below. 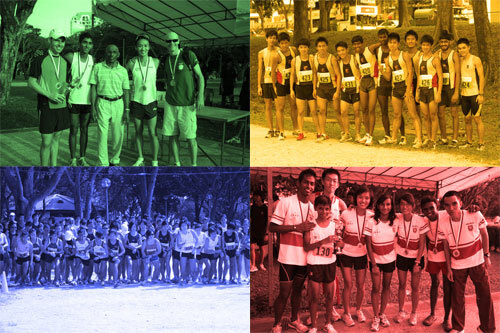 The local cross country season kicks off with SAA Cross Country Championship to be held this Saturday at Bedok Reservoir. Some 585 participants are expected to grace the cross country which is in its 61st edition. Based on the current start list, the defending champion for the men open 5 kilometers individual category, Jason Lawrence has not decided to run this year. Jason won last year in a scintillating time of 15:58.29 minutes, leaving the second place finisher nearly a minute behind. With the Kiwi not in running, it leaves the top spot wide open to our local lads. Mohd Shah Feroz from Swift, Soh Rui Yong of Raffles Institution and Ashley Liew from Singapore Management University are runners to look out for, with Swift’s Karthic Harish Ragupathy, Eugene Rodigo of Victoria Junior College and T.Harrishankar of Swift as the dark horse contenders. However our locals lads would have slug it out hard not only among themselves but also the lean mean running machine in the form of the Police Sports Association Gurkhas runners. The PSA team while opted not to run last season has made a return this year. Expect a couple of them in the Top 10 position. Last year women’s defending champion Jenny Lundgren from Athlon Running Club also has not decided to return. The category will welcome a new winner up on the podium.